This HOWTO describes how to get Wifi working on your Dell Laptop using Ndiswrapper. This applies if you have the Broadcom "Dell Wireless 1390 WLAN MiniCard", which as far as I know, is the cheaper, low-end version that Dell currently offers in laptop. This HOWTO has been tested and works with both 32 bit and 64 bit ubuntu, and uses the exact same method for both. It is VERY IMPORTANT that you read every part of this how-to and follow the steps EXACTLY as they're written. Many users have trouble because they only read the code sections and ignore my directions to change to the proper directories. Again, PLEASE BE SURE YOU ARE IN THE PROPER DIRECTORY WHEN EXECUTING THESE COMMANDS. This will save you a lot of trouble and will make the installation go a lot smoother. One of the most common reasons why many people can't get their wireless working is because their system is in a state of chaos. If you have made ANY previous attempts to get your wireless working -- either using fwcutter, ndiswrapper, or the bcm43xx drivers -- this how-to will most likely not work UNTIL you reverse your previous changes. In many cases, it is much easier to simply reinstall ubuntu and come straight to this how-to. Alternatively, you can manually clean your system of the previous attempts, as outlined in various posts throughout this thread. But BE WARNED: If you have done ANY previous work on your wireless, there is almost no chance that this how-to will work unless you clean your system. We'll need to install compiling tools (don't panic when you read that, just bear with me), the latest kernel headers, and then the source code for the latest ndiswrapper (seriously, don't panic. 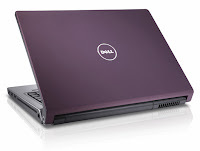 This will be very simple), and the wireless drivers from Dell.com. Here I am using R151517.EXE driver it is for Inspiron E1505. Replace the R151517 with your driver Number. You can find this number on your drivers of windows or on Dell website-> Drivers & Downloads-> select your Laptop model->Network->Dell driver( Wireless Driver). Or copy your Dell Wireless Driver to your Harddisk from your Dell Driver CD and then no need to execute 4th step "wget" in the following code. NOTE: The characters around `uname -r` are BACK TICS, NOT apostrophes. A back tic is usually located at the top left of your keyboard, to the left of the 1 key. The command WILL NOT WORK if you use apostrophes. Just copy/paste the commands from this how-to in to your terminal to avoid making typos. At this point, you need to go to the ndiswrapper sourceforge site and get the latest version of the Ndiswrapper program. IMPORTANT: Do the above command multiple times. You can stop when you get the message that says something about no files or directories found. This usually means running the command 2 or 3 times, but not more than about a dozen. Now change directories to the DRIVER directory that was just extracted. you should see a message that says driver present, hardware detected. Some users have reported the need to reboot here. Tags:Dell,Dell Help,How TO:Dell Wireless (Broadcom 1390 WLAN),Linux,Ubuntu,How to Dell wireless in Ubuntu?,How to get wifi in Dell laptop of ubuntu linux.